Readers may remember a video I posted of an interview I did with Richard Anderson, who played Oscar Goldman, the head of the Office Of Scientific Investigations, and the boss of one Steve Austin, better known as The Six Million Dollar Man. That was at the Night Of 100 Stars Oscar Party of this year. And here at Comic Con, guess what: Richard Anderson’s in the house here too! He graciously recognized me from the party earlier this year and we talked for a bit, until Friday, when I plan to stop by for a more formal chat and interview. But he did give me a good update of where The Six Million Dollar Man movie is. It’s not close to being made. Basically the problem is making a deal that doesn’t include the large percentage the estate of Martin Cadin would be entitled to if a movie were made. Apparently Cadin, the author of Cyborg, the book that the The Six Million Dollar Man is based on, got a deal that gave him that percentage, and Universal Studios, which has joint ownership with The Weinstein Company, can’t seem to get out of the deal structure. Plus, The Weinstein Company is reportedly trying to get the right person to play Steve Austin, with the latest rumors pointing to Leonardo DiCaprio. Anderson seems to not hold out as much hope for the new Six Million Dollar Man. 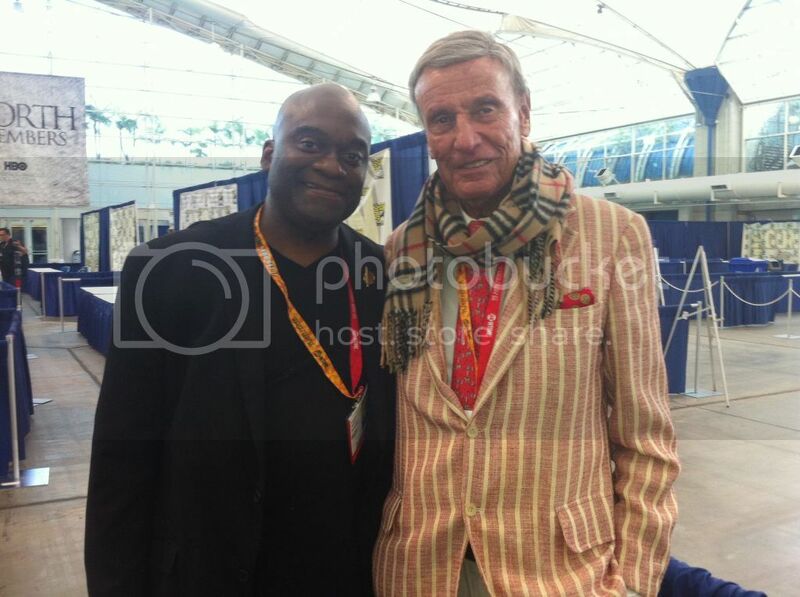 Be the first to comment on "Comic Con 2012: Richard Anderson Of The Six Millon Dollar Man"